﻿ Valiadis Hellenic Motors » News » Asia Pacific Maritime (APM). We were there! ﻿ » News » Asia Pacific Maritime (APM). We were there! Asia Pacific Maritime (APM). We were there! We were there! At Asia Pacific Maritime (APM), from 14 to 16 March 2018, at Marina Bay Sands, Singapore. Stand C-G09. 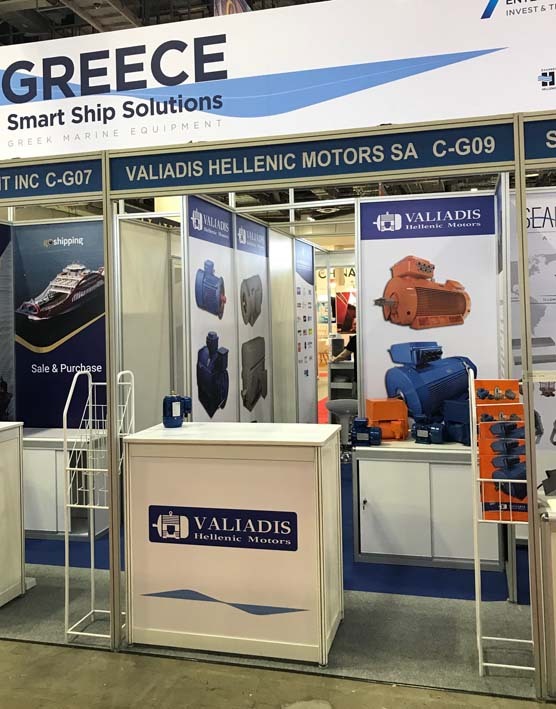 We participated at APM-Asia Pacific Maritime through HEMEXPO and the National Pavilion of Greece where Greek leading marine equipment manufacturers presented Smart Ship Solutions tailored to meet the needs of Shipowners and Shipyards. We have been equipping vessels with electric motors for years while investing in innovation and top quality, in consistency and in cost efficiency. And we are looking forward to the next opportunity to meet.